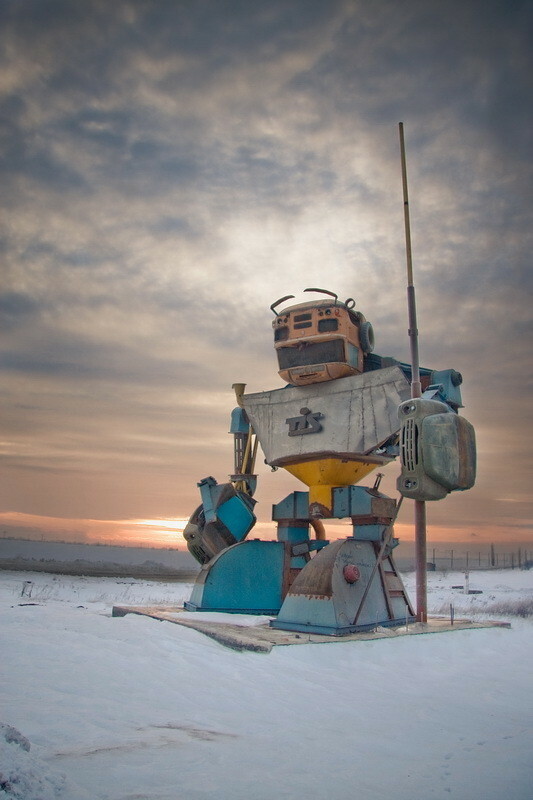 When entering city of Odessa port one can be greeted by a giant metal robot staying there for years already. Constructed mainly of auto parts, like hoods etc. – so looking at it we might guess where from the Transformers idea might has appeared. Oh wow, good job SSSR! 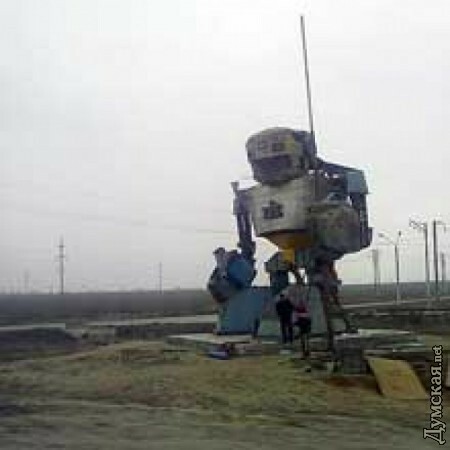 Yay, giant robot! He reminds me of Robosaurus. 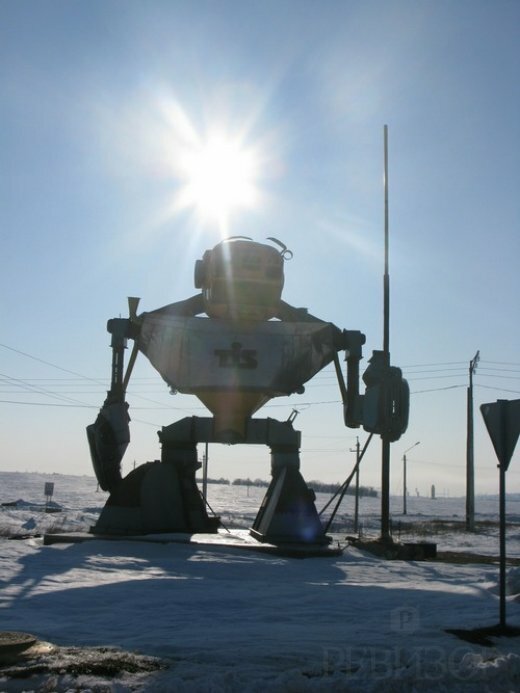 We have giant cows made from auto parts here in Helsinki but I prefer giant robots like this. The mandibles or whatever on top of his head are creepy. I like art made from different parts of something else. This is a cool sculpture! I approve. Too bad the statue didn’t do much.